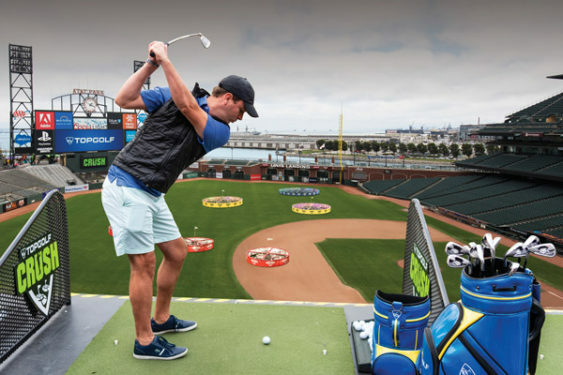 The San Francisco Giants and global sports entertainment leader Topgolf are bringing the Topgolf Crush experience to AT&T Park from November 16-18. Topgolf Crush is unlike any golf game you’ve played before, featuring giant targets on the Field, Toptracer Range technology so you can accurately track your golf ball like a pro, and spacious hitting bays so you can play with your squad. Expect the usual scene from a Giants gameday including a lively crowd, the best ballpark concessions in the country, and cold beers, enhanced with great music and the opportunity to challenge your friends to addictive, point-scoring golf games suitable for all groups. Sorry! The contest for Topgolf Crush at AT&T Park | SF has ended.